Well, this baby is throwing me for a loop! -My hips have been killing me. There is so much pressure down there when I am on my feet for too long, plus I've had days where I feel like my hip is actually going to pop out of joint. Ouch! -The round ligament pain has picked up quite a bit, and a couple times I thought I tore something, it hurt so badly. -I actually pulled a muscle in my stomach. I now cannot bend down to pick something up off the floor without a muscle pain on the upper left part of my belly. I was actually kind of worried that I gave myself a hernia there somehow, but I'm thinking it's probably just a pulled abdominal muscle. I'm going to ask my doctor this week. 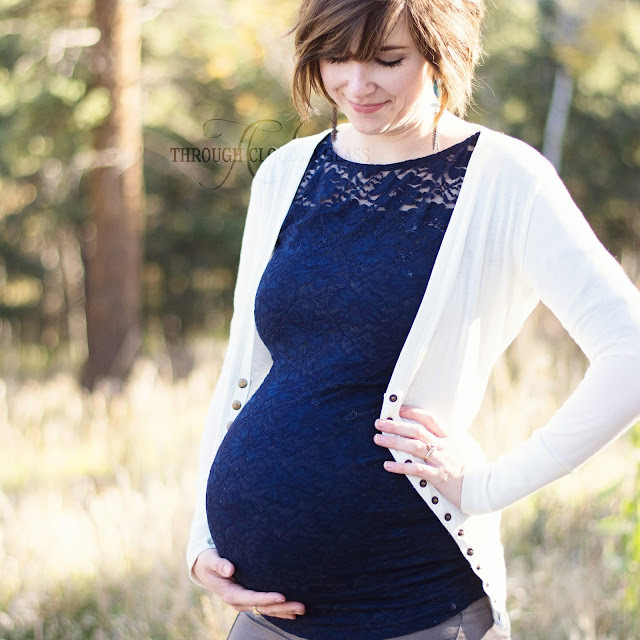 -The Braxton Hicks contractions are getting more uncomfortable the bigger I get. -I can't recline anymore because it's too uncomfortable. When I lean back on the couch or in bed in a reclining position, it feels like her head is pushing against my tailbone. 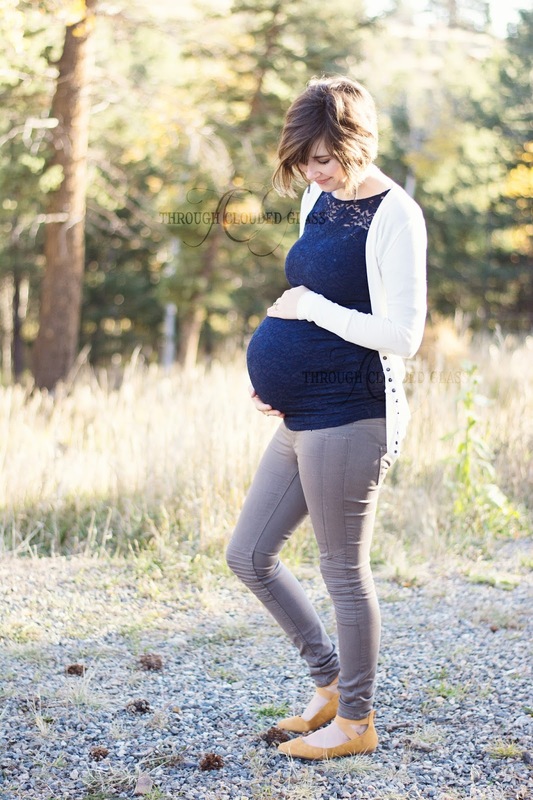 This makes me think she is facing the wrong direction (toward my front instead of facing my back), and I hope she turns around the right way before labor starts! I've had back labor before, and it's not fun. -I actually had a day, right after I posted my last update, where I had some false labor - I was cramping at intervals for a couple hours. I could tell they weren't actual contractions and my body was just practicing, but they still were so uncomfortable. Despite all those aches and pains in my belly and pelvis, Baby Girl is actually not yet engaged. There have been times when there was so much pressure on my cervix area that I was sure I must have some dilating happening, but at my appointment last week I was barely dilated to 1 cm, and not effaced at all. I am anticipating at this point that we will definitely make it to 40 weeks, but I also said two weeks ago that I was feeling really comfortable, and now look at me. We'll see what happens! I have a few little last minute things that I'd like to get accomplished before she arrives...but I've been mostly putting them off. All the big things are done, and we are mostly ready to go, so my motivation to complete the final details is a little lacking at the moment. My focus has been mainly on making sure the house is as spotless as possible, especially before we leave the house for the day, just in case she decides to come when I'm not expecting. Derek has really been my hero on this front lately too. He has put up with all my silly requests for help because he knows how uncomfortable I am, but he has also gone above and beyond the call of duty. Last week he scrubbed the bathroom and kitchen floors with a toothbrush - a toothbrush! - and I didn't even ask him to do it! I had resigned myself to the fact that the floors were not going to be spotless because I was definitely not going to crawl around on all fours in my current state, but he surprised me by doing it himself, and I have to say, it's so much nicer to walk around barefoot now! I have a sweet husband. The kids still ask me occasionally when the baby will come. The other day Clyde asked "Is the baby coming today?" in his cute little toddler voice. When I said no, he said "Oh, she's coming tomorrow?" They are excited, but I think they are also starting to think she's taking forever and I hear the hint of exasperation when they ask "How many more days now?" Especially when I have to say I don't know! She still moves quite a lot, and I love feeling her tiny legs and feet through my belly! She seems to be liking to interact with my hand a little bit more, instead of just trying to kick my fingers away. But I can also tell she has slowed down a bit over the last couple weeks - I'm hoping this means she is developing some good sleeping patterns. 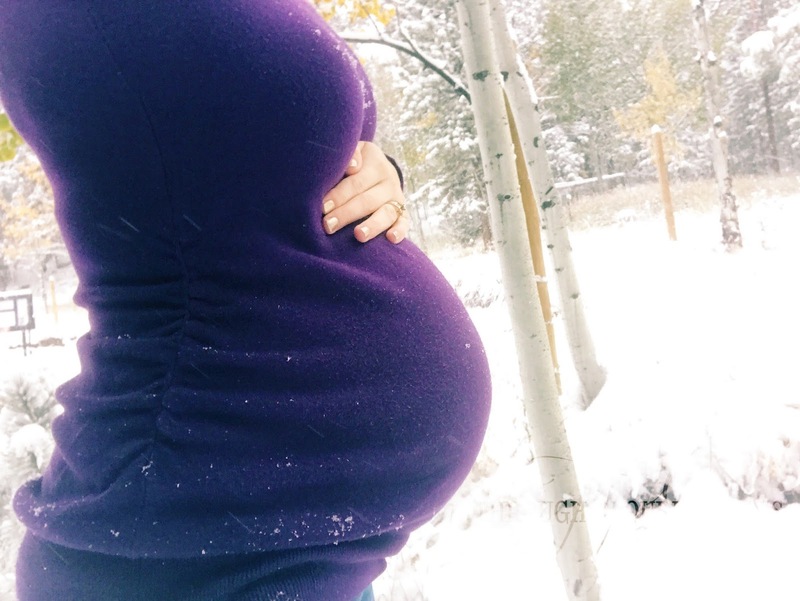 The one good thing about going to 40 weeks, if we do, is that I do believe that later babies are better sleepers - at least it's been true in our experience so far. At this point I am starting to really look forward to having her here, and seeing what she looks like. I'm also so curious to see her personality! I have a feeling all my girls are going to be on the spunky side. I can't wait to see her little face. I'm keeping myself busy with a few hobby projects, which I'll probably write about soon, and also trying to sneak in as many days of homeschooling as I can before she arrives so we can take a nice long break. As slowly as the days seem to drag by sometimes, it's still crazy to think that in a matter of days, most likely down into the teens and soon single digits, we'll have a baby! We got another skiff of snow this morning, and Derek is home today, though he ran out to the grocery store a little while ago for milk and diapers. The house is relatively quiet right now. He left while I was still in bed, so the kids are upstairs watching some cartoon or another on TV. Aside from some footsteps running across the floorboards above my head occasionally, it is peaceful and quiet. I have no big plans for the day, aside from homeschool and working on my Christmas card list (Christmas time and this baby's arrival are looming). I will probably do something a bit more elaborate for dinner, and by that I mean I'll spend the 45 minutes it takes to cut up potatoes for potato soup. It's a potato soup kind of day. But for now, it's quiet, and I'm hunkering down in my room, trying to figure out what to write today. I was going to write about more frivolous things, but there are a few deeper thoughts left in the month after all. Snow always puts me in a reflective mood, and this morning I'm reflecting on keeping a good balance between memory-keeping and memory-making. Much has been said about how obsessed we all are with getting the perfect picture to share on social media, and viewing our lives through the lens of our phone instead of the lenses of our eyes. 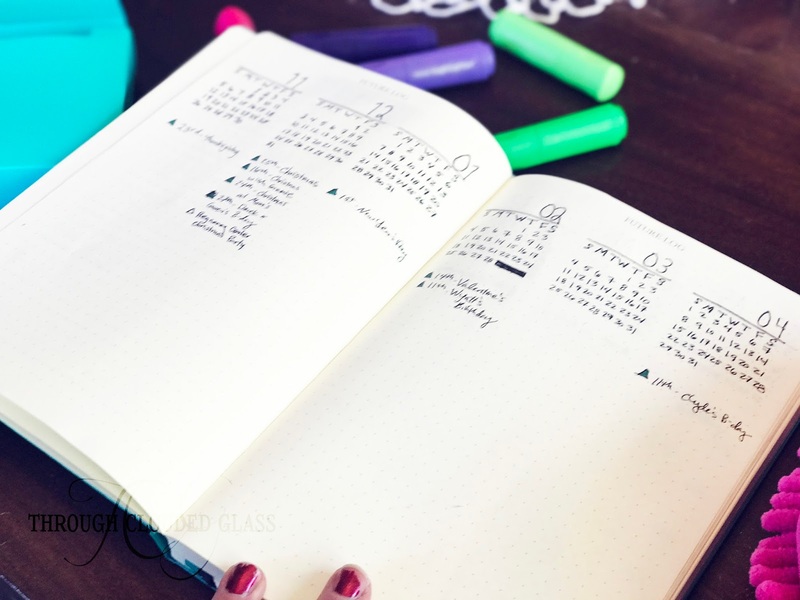 I'm not sure I'm going to go that route with this post, because I've written this month already about how it's hard for me to even remember certain events without some documentation. I am not gifted with an impeccable memory for times and places and events, so writing something down or snapping a picture keeps these things from being lost to me forever. I don't think there is anything wrong with wanting to document the past, and indeed I think it's important. It's most important I think so we don't forget what God has done. How far He has brought us, and how He has worked in our lives and grown our character up to the present moment. However, I think there is a certain danger in getting too caught up in the past. How we've "always" done things. How things "used to be". Because the more years behind you the more you realize that things never stay exactly the same. And that statement sounds wistful and sad somehow, but I don't really think it has to be. Because would we really even want things to stay the same forever? Would we want to never move to the next stage of life, to never watch our babies get bigger and develop their personalities, to never develop new traditions, try something new, grow? There is room for a bit of sentimentality about the past I think, as long as we don't get stuck in our reminiscing about "the good ole days". Because these days that we're in right now, these very present moments, are good too. They drift on by, and tomorrow will be a memory before we even realize it. And I think it's good to embrace the way things change, to hold on to our memories while making fresh, different ones in the present moment, and not to resent the fact that things aren't always "the same". Because really, how boring would things get if they always were? My goal I think, in all this memory-keeping, is to remember all that God has done for me this far, but not so I can wish for the way things used to be. I want to remember His faithfulness and gifts in the past so my eyes are wide open for His faithfulness and gifts that are still in the future. And when I keep that balance between the memory-keeping and the memory-making yet to be done, I think it's easier to live fully in the blessings of right now, and to be grateful for them. Today I want to talk about a practical aspect of memory-keeping, namely, how I go about organizing photos. First, I feel like I should clarify that I am not actually very good at this. I have plenty of photos stored on my computer, and I have something of an organization system, but there is much room for improvement. Still, I thought I'd share what I do and ask how you all go about organizing photos! For my digital photos, I try to keep the photos I take organized in folders by year and month. So I'll have a folder for 2017, and in that folder I'll have a folder for each month. In recent years I've organized them even further and I try to split each month into separate "event" folders - for example, in my September 2017 folder I have folders for "Autumn Hike", "Clarice's Birthday", "34 Weeks Pregnant", etc. I think this helps me find the photos I'm looking for a little easier, assuming I can remember the year/month of the event - which I usually can, because I somehow am able to remember pictures I take even better than the real-life events. This is one reason why taking photos is so important to me! It helps me remember the different fun things we did together. My recent project - and by recent I mean the project I've been working on over the last year and a half - is going through all these folders and deleting the photos that were no good. In the past, I've gotten lazy and just dumped photos into a folder without editing them or deleting the throw-aways, so I'm trying to clear out some of the photo clutter. I am in the process of creating a folder for each year of my "favorite" photos, the ones that I would actually like to get printed up (this is difficult because there are so many). I am really struggling with figuring out how to organize my printed photos. I have albums from our early years of marriage and Wyatt's first couple of years, but I quickly realized that I'm not going to have enough room in my house to store albums of all our family photos. So what to do? Like I said, I have a ton of photos that I hope to eventually get printed. I need to narrow them down further, but then what? I'm considering just buying cute-looking boxes to hold each year of photos - I can fit a lot more prints into a box than in albums. However, I'm also aware that this is a messier option and not as fun as an album to look through, so I'm still debating on what to do. It's going to take me a while to get caught up on printing photos, so I guess I have time to figure it out! So how do you all organize your photos? Do you have any sort of system? Are you better than I am at getting them printed up? Give me your tips! Every year I try to write a birthday letter to each of the kids, with some special characteristics or memory of them at that moment in time. However, somehow last year Gwen's birthday letter never got posted, and since I'm focusing on memory-keeping this month, I thought this was a good opportunity to catch up. 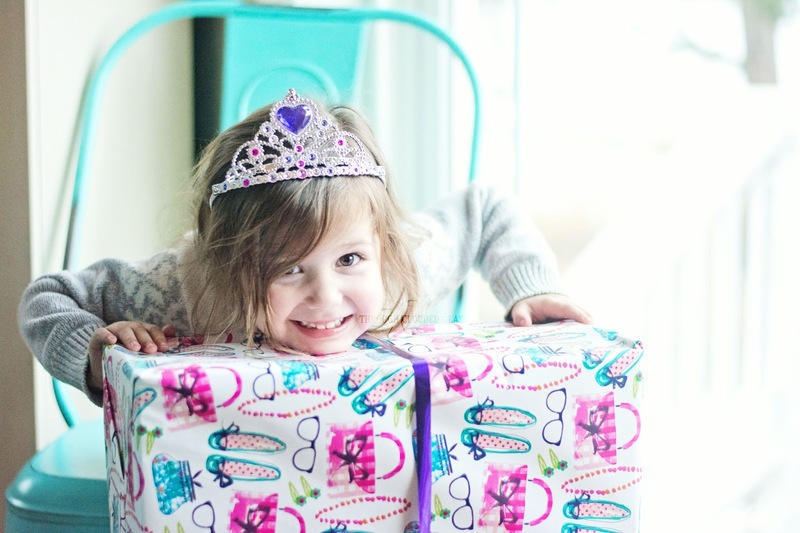 This is what I wrote for my sweet Gwen's 4th birthday, which is in December! It's probably good that I'm sharing this since her 5th birthday letter will be due in a couple months! I can't believe I'm typing your 4th birthday letter. Even as I was thinking about what I wanted to say, I kept thinking you were three years old. I lost a year somewhere. Your request this year was for a Minnie Mouse birthday party, and your favorite gift was your Minnie Mouse dress-up dress. You look absolutely adorable in it, your brown eyes shining. I think one of my favorite things about 4-year-old you is how creative you are. Almost every morning I'll hear your little feet tripping across the floor upstairs, the drawer opening, and skipping steps back to your room. You sneak paper and crayons and scissors into your room, and I am trying to look past the mess because it's amazing all the creations you come up with. You're my little budding artist (and dancer), and I love that about you. This year you asked Jesus to come into your heart and forgive your sins, and it was the sweetest little moment, Darling. You carried your new Bible so proudly to church the next day. You'll understand more and more about our Savior and His sacrifice for us through reading His Word in the coming years, but what a sweet little foundation you have to build on now. My darling, you are such an important part of this family. For lack of a better word, you sparkle. I'll just look at you sometimes, and you'll stare back at me with those big brown eyes, and I can see your happy spirit sparkling behind them. You cheer up my days Sweetie, and I love you more than I can say. I don't deserve such a sweet, beautiful girl as you. 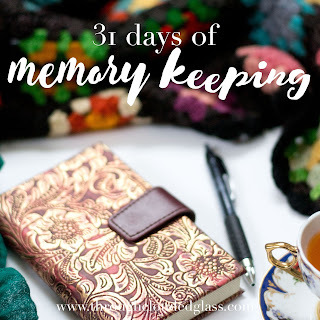 Is it cheating if I do a fall Q&A as part of my memory-keeping series? I'm going for it, because this morning has been rough, and I'm not sure I have much more than a survey in me today. Stealing this from Bekah, but I modified it a bit to add a memory-keeping flair (and to extract the Halloween-related questions, since we don't celebrate Halloween and I have nothing much to say). 1. Favorite Fall Sweet Treat? I have a special fondness for candy corn and apple cider. When I was a kid my dad would harvest our own hay for our horses, and we kids always helped. We'd dress in our old, holey jeans, grab some leather gloves and hay bale hooks, and the whole day was spent getting filthy dirty, throwing bales into the truck and stacking them in our barn. When we took a break, we'd head inside and my mom would have candy corn and spiced apple cider for us to drink, which made the whole thing less like work and more like a fall tradition. So yes, candy corn and cider. 2. Red, Yellow or Green Apples? To look at - Red Delicious or Pink Lady, because those are the prettiest. To eat raw - Fuji apples, which are yellowish! 3. Favorite Fall Sport to Play? Is there really any other fall sport besides football? I am not really a sporty girl. Does hunting count as a sport? Because then I'd say hunting. I come from a long line of hunters, and growing up we would hunt for elk and deer and live off the meat all winter. I haven't really been very often since I've been pregnant for so many falls over the last seven years, but Derek is off attempting to restock our freezer right now. 4. Best Drink for Fall? 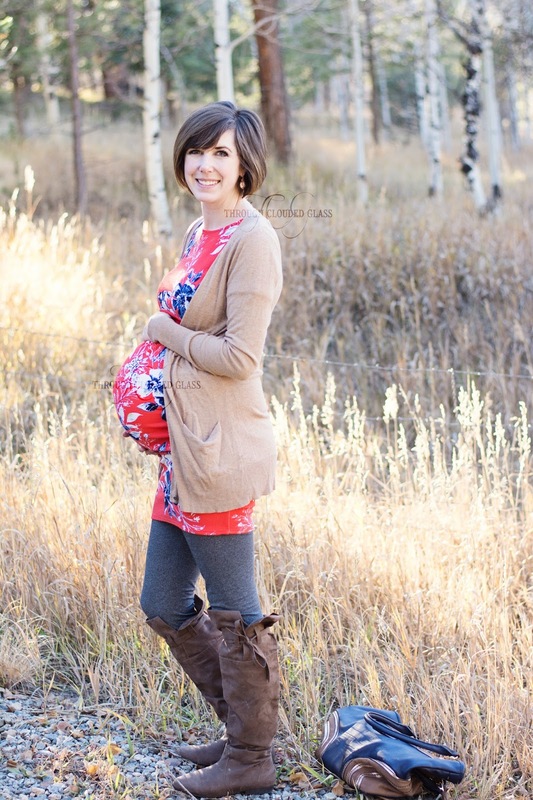 I really love Celestial Seasonings fall teas, but I unfortunately can't drink them while pregnant! 5. Favorite Fall Activity? From my childhood, the aforementioned hunting and haying activities always made it feel like fall. 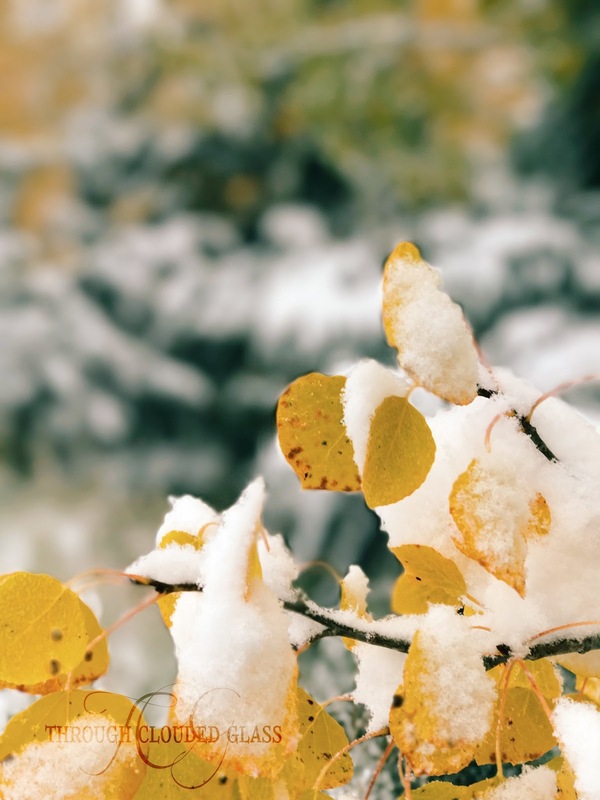 I'd say in general though, my favorite fall activity is going on a hike somewhere with aspen trees - there is nothing like the smell of aspen leaves in the fall. They have this spicy, woodsy smell, and it reminds me of my childhood. 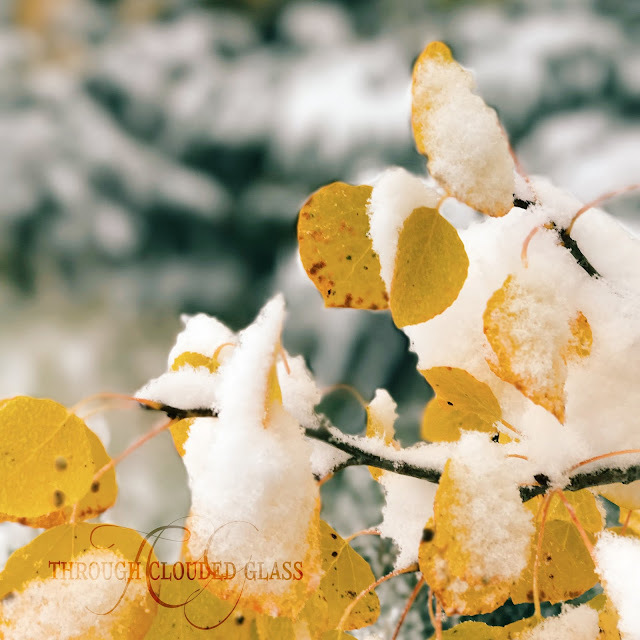 My family was big into everything fall, and it was a busy, fun time of year for us, with the scent of spicy aspen leaves always in the background of my memory. If I could bottle up the scent of aspen leaves in the fall, I would be a happy girl. 6. Must have Fall Purchase? Candy corn, white mini pumpkins, and I have to admit, new boots/booties or scarves always tempt me this time of year. 7. Pumpkins: Pick your own or store bought? Store bought. I'm not sure I've ever actually bought a pumpkin from a patch. They are cheaper from Walmart anyway! 8. Real or Fake Pumpkin? I have no preference. But I do hate when pumpkins start to rot, so fake pumpkins seem safer. 9. College Football or NFL? This seems like a politically charged question right now, but I can honestly say college football takes precedence in this house. Derek has been a fan of the Buffs since he was a child, when his dad took him to his first CU game at six years old. Derek took Wyatt to his first game this year since he turned six, so we're passing the tradition on! 10. Favorite Fall Memory? Definitely hunting with my dad. I started hunting big game with my dad when I was 12 years old, and I got my first elk. It was exciting to get something, but the best part was just being out in creation with my dad. I especially liked going in the morning, because it was always fun to catch the sunrise, and the early morning air in the fall was so invigorating. I always remember my dad saying he feels most alive in the fall, and I feel the same way...I think my memories of hunting are a part of that feeling, because of the early mornings in the beauty of fall and the crispness of the air. And then of course, taking snack breaks for Nut Rolls and Gatorade (those things never tasted so good as when we were hunting, let me tell you). 11. Raking Leaves or no Leaves to Rake? To my children's mortification, we don't really have any rake-able leaves where we live in the mountains. They so badly want to jump into a pile of leaves, but any piles that are raked here would end up being a rocky, muddy mess! 12. Favorite Soup? In general, I love potato soup, but in the fall I'm a fan of pumpkin soup! I found a recipe and made it for the first time after Derek and I were married, so it brings back good memories. He, unfortunately, is not a pumpkin soup fan so we don't have it much. But I like it! 13. Favorite Fall Candle scent? Autumn Leaves, which is a Yankee Candle scent. It smells woodsy and spicy - not as good as real aspen leaves, but I still love it! 14. Love or Hate Pumpkin Spice? This feels like a complicated question - it depends on what we are talking about. I like the actual spice in theory, and I love pumpkin flavored things in the fall. But pumpkin spice lattes, for example, are generally just okay to me. 15. Short Booties or Tall boots? For early fall, definitely booties because my feet get too warm in regular boots. In late fall and winter, I like both! 16. PSL (Pumpkin Spice Latte): YES or NO? Again, just kind of okay to me. I always feel like I have to have at least one in the fall, but I generally like other flavors better! 17. Hayride or Corn Maze? Corn maze! You get a lot more time out of a corn maze than a hay ride. 18. Favorite Fall TV Show? I generally hate most things on TV these days. The things that I feel like watching most in the fall are: Gilmore Girls, Anne Of Green Gables, and You've Got Mail. 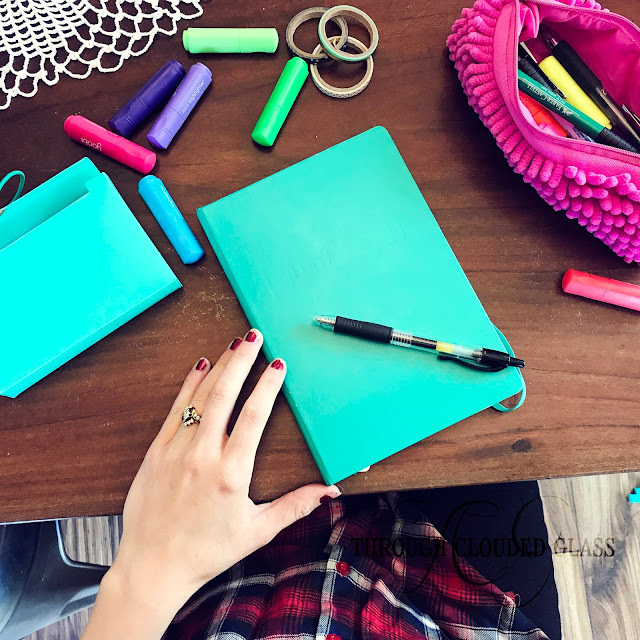 Please feel free to grab the questions for your blog, or answer your favorite ones in the comments! I love these getting-to-know you surveys! I am happy to report that the hospital bag is packed! Mostly. There are a few things, like my hair straightener, that will have to be thrown into the bag whenever I happen to go into labor, but other than that, it's packed. It was kind of weird packing the hospital bag this time around, because I still am kind of in denial that I have less than a month until this baby gets here. 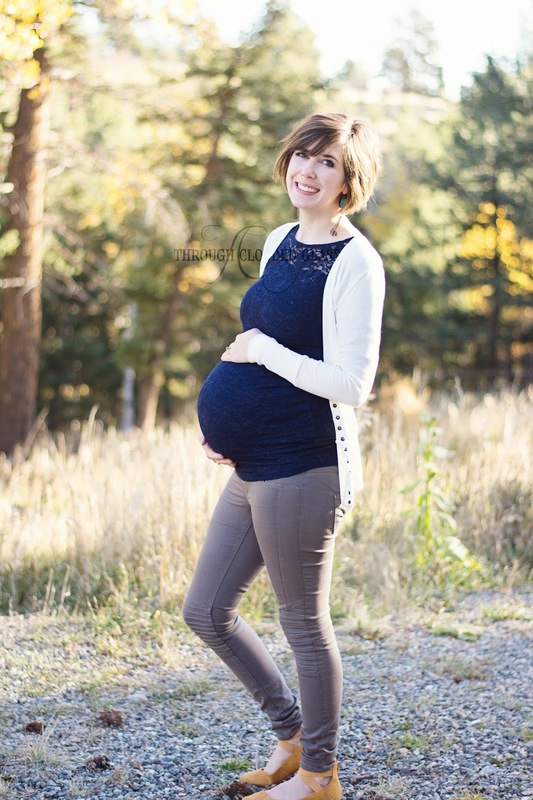 How did this pregnancy go by so fast? I still think it's a bit surreal that we are having a fifth baby. I'm a mom of five babies. I will have five children trailing after me in the grocery store for the next decade. It's kind of cool! As far as symptoms go, I am feeling pretty good in general. I did have pretty bad sciatic nerve pain the other night, and I had to lay on the floor and have Derek help me rotate my knees from side to side so I could actually put weight on my left leg. I really need to get to the chiropractor this week. I also have had insane heartburn, and I may have taken more than the recommended amount of Tums a couple days in a row last week. When I realized what I did and told Derek, he may have threatened to take my Tums away. Surely "overdosing" on Tums can't cause much damage, right? She seems to be fine in there anyway - she still moves constantly. With all my other babies I remember at least once worrying that they were not okay in there because I hadn't felt them move in a while - this baby girl has not given me the opportunity to worry about her at all, at least not yet. Sometimes I'll just be standing in line or at the kitchen counter, and I won't really feel her kicking, but I'll look down at my belly and I can see her rolling around in there. This girl is rarely still. Despite having sciatic nerve pain and the worst heartburn I've ever had, this pregnancy is such a breeze compared to the last one that I am feeling really optimistic right now. 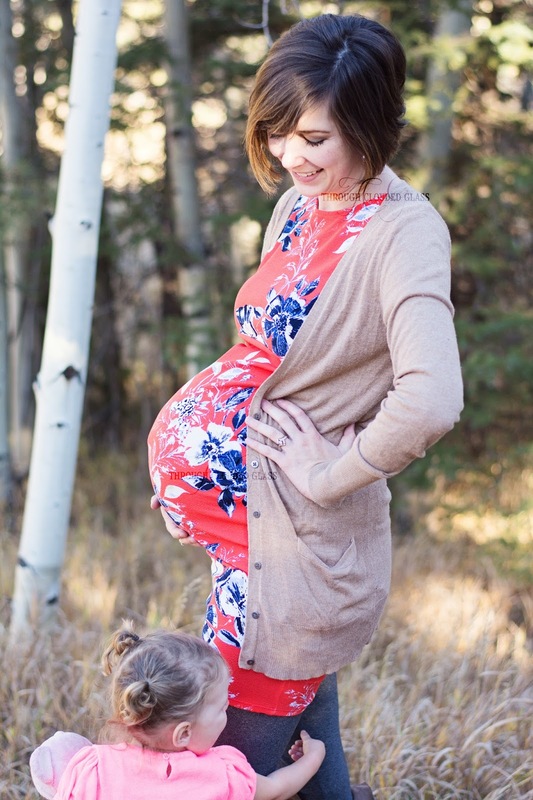 Clarice was breech or transverse most of my pregnancy, and her placenta was anterior, and I'm convinced those things made her pregnancy a lot harder on me. I just remember being D.O.N.E. at this point last pregnancy, but I am feeling really good this time, like I could go late again and be okay as long as I kept myself busy. 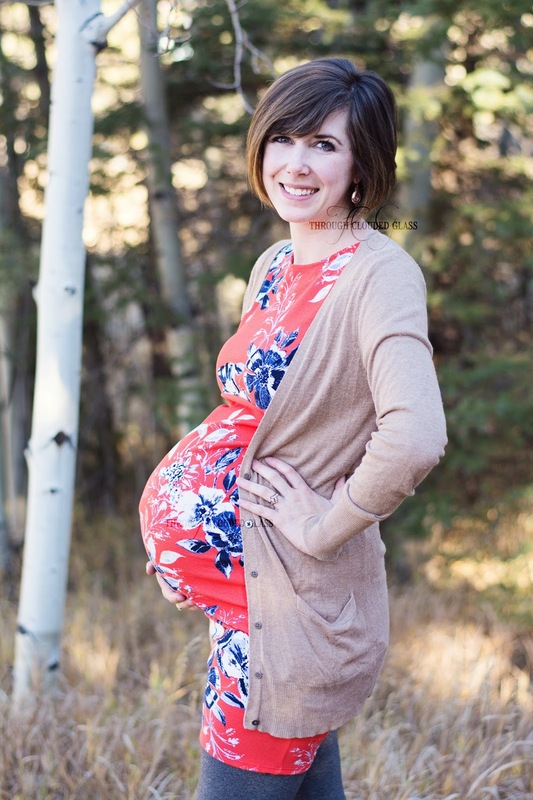 I feel pretty comfortable most of the time, and I actually feel pretty small for 36 weeks, despite my standard answer to "How are you feeling?" being "Big." Baby has dropped, and the stomach is mostly out front and not pressing on my ribs anymore, so in comparison to other pregnancies I feel pretty cute still, and I can still move around pretty easily. I am really trying not to think she is coming early, because that is part of what made going late last time so tortuous...but I can't help it, there is still a small part of me that is hoping she'll come a little before her due date. To combat this, I have set up a couple "rewards" for myself for the last couple weeks of pregnancy. If I make it to 38.5 weeks, I'll buy the fall ankle booties I've been eyeing. And if I make it to a day before my due date, I'm hoping to be able to go see "Murder On The Orient Express" when it comes out on November 10th (if you have not read that book, you have to - it's a classic). I don't have any rewards for if I go past my due date, but I'll set one up later if I think I'll need it to keep my waiting attitude positive. 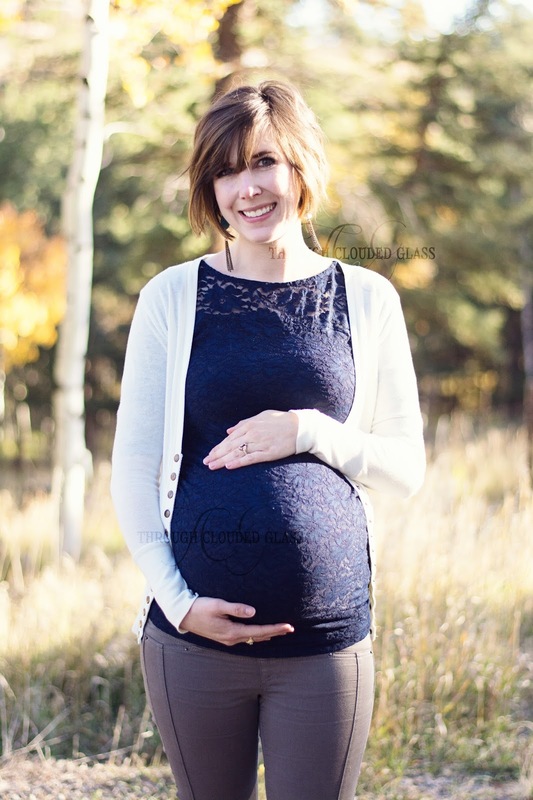 I wouldn't say I'm impatient quite yet, but I am getting pretty excited to have her here! I have a doctor's appointment next week, the first one where they will check my cervix. I'll probably put an update on Instagram after my appointment, so follow me there! If I'm only at 1 cm or less, I'm anticipating I'll make it to 40 weeks. If I'm dilated more than that, there is a possibility she may come a bit sooner. Derek will be hunting next week though, so let's just all pray that I don't go into labor while he's out traipsing through the woods, shall we? I do think we'll be okay though. I don't think she'll come before November. If you are expecting this list to be populated with all the "children's classics", think again, my friends! 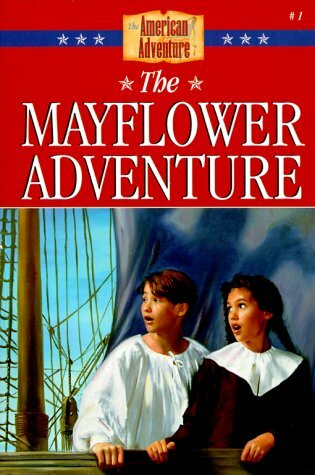 When I was in elementary school I mostly read a few series that captured my attention at the time. I don't think they'd be considered great works of children's literature, but they did get me reading! Just for fun, today I thought I'd share a few of the book series I remember reading as a kid. 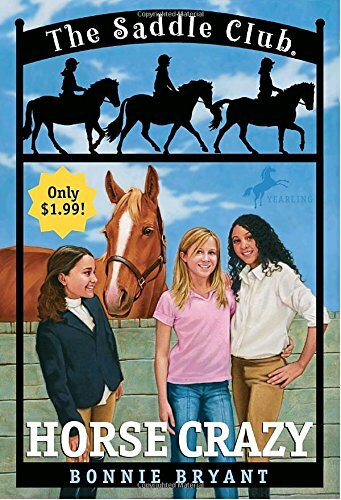 The Saddle Club Series - These are some of the first books I remember being interested in, ever. I think what drew me in was not so much the stories, but the collectible cards that came with each book. Not to mention that I met my closest elementary school friend because she was also reading the Saddle Club series. They were basically just stories about girls and their horses, and I remember very little of them now. Like I said, I was in it for the cards. 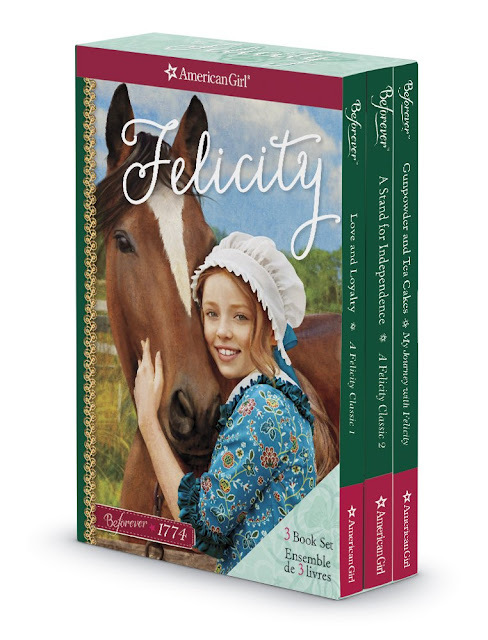 American Girl Series - Did anyone in my generation not read one of the American Girl book series? My favorite was always Felicity, because my favorite era of American History was the Revolutionary period, even back then. 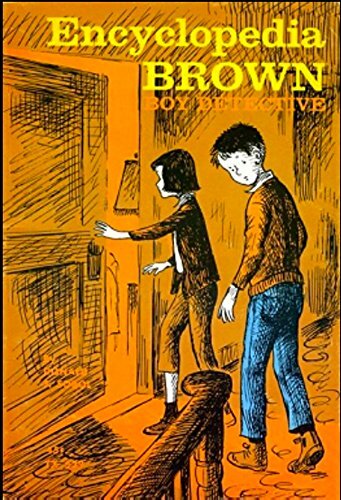 Encyclopedia Brown - I used to love these books! Each book had multiple stories - mysteries with clues! And it wouldn't tell you the answer at the end, you had to guess who you thought "did it" and turn to the back of the book to find out if you were right. I was always so proud of myself when I picked the right culprit. 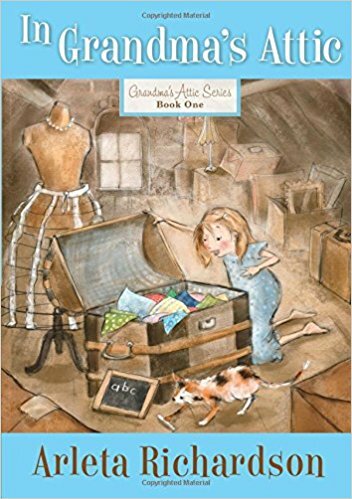 Grandma's Attic - Okay, this one is sort of a classic. 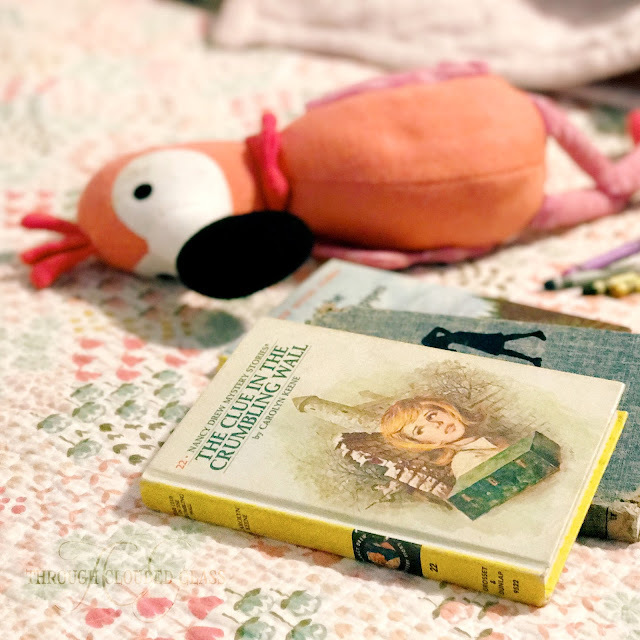 I mostly remember whichever book is the one where they pull an old quilt out of the attic, and each patch on the quilt has a different story. Really cute stories. American Adventure Series - I'm actually relieved to see you can still buy these! Around the time we started homeschooling, my mom bought a couple of these American History books and assigned done of them to me for school. I didn't get too excited about that one, but about a year down the road I got a hold of a book a little further in the series. I was hooked. 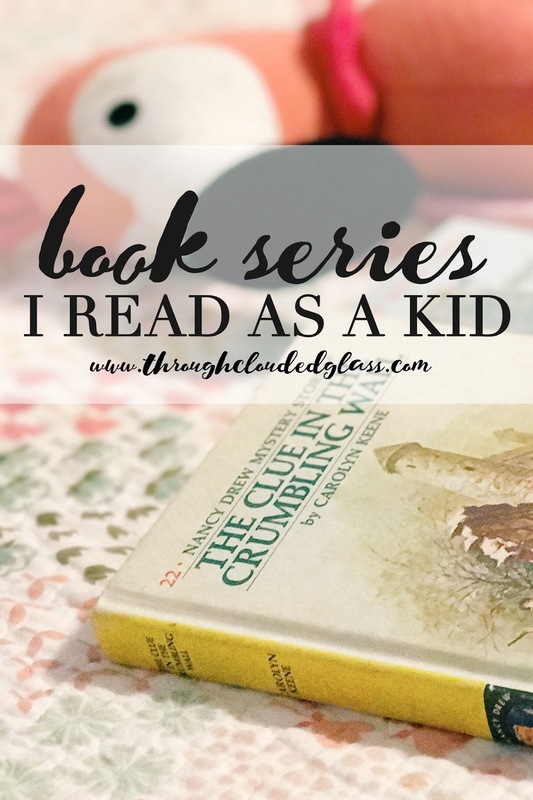 Each book in the series follows the children of the characters in the previous book, so it's like one long family story down through all the eras of American History. I used to save up my own money and march into the Christian bookstore with my $4 to buy the next book in the series. Until a friend started loaning me the books, which I kind of regret now. I wish I had kept buying them so I could have completed the series. The ones I did buy are in a box under Gwen's bed, waiting for my children to get old enough to read them. Nancy Drew - Obviously. 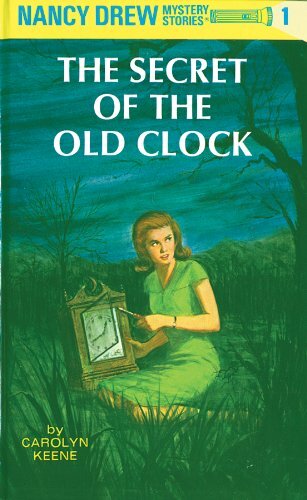 Gotta love Nancy Drew! What did you like to read in elementary school? I grew up with one brother and one sister. My siblings are twins and are two years younger than me. We had a lot of fun growing up, being so close in age. I remember so many different games we came up with, and we would play with each other for hours. We had pretty good relationships with each other, and I loved having both a brother and a sister. I think when we are young (especially us girls), it's easy to think that you get to plan your whole life out. When I was in middle school, I decided I wanted to get married at 22 (my mom's marriage age), wait two or three years to have babies, then have three kids (because it seemed to work for my family of origin). I even had names picked out (because of course my husband would love every name that I did). If you have been following this blog for a while, you know that none of that worked out like I thought it would! 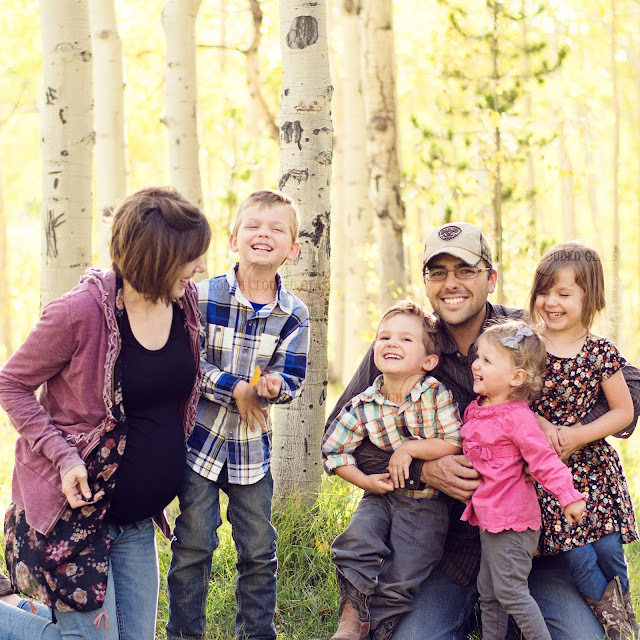 So to answer a question from my blog buddy Natalie, I didn't always want a "big" family (unless you consider three kids "big", which I don't). I continued on with my well-planned-out life, and when I was 19 years old and in dental hygiene college I read a book called "America Alone" by Mark Steyn. I can say with certainty that this was the point when I started to think about family size a little differently. This book was not necessarily about family size, it was about international politics, but it did address the history and current state of birth rates in different countries. In the book, Steyn presents evidence that countries or cultures that have higher birth rates tend to accomplish more in the world, and those that have anemic birth rates tend to go into decline. This was a shifting point for me, because for the first time it occurred to me that maybe choosing how many children to have isn't a decision that should be merely based on personal preference or some arbitrary "ideal". It introduced to me the idea that having children is a way to pass something on, and if there are more children in the family, there is more of a chance to pass it on to more people. As a strong believer in Christ, that idea was interesting to me, because I want to pass on my faith to my children, and for them to pass it on to their children. For the first time I thought about having four kids instead of just three. 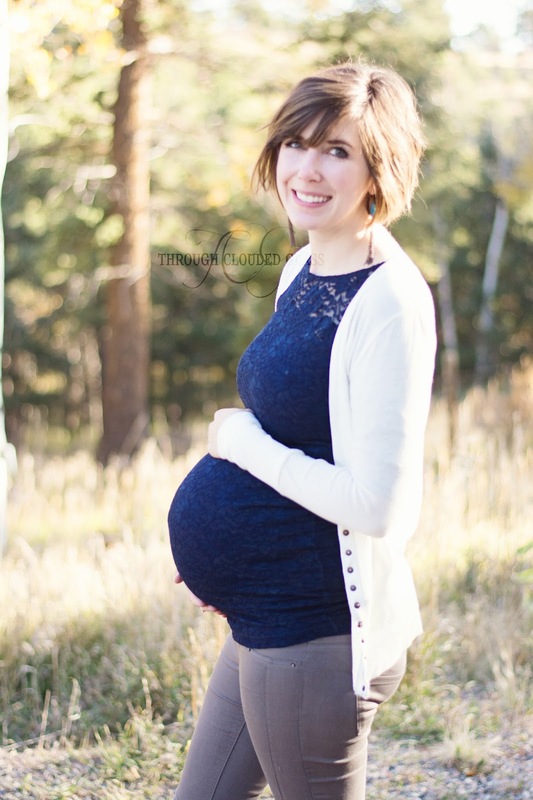 I think the Lord used that unexpected book to get me thinking in a new direction, because a year later Derek and I got married, and a year later we went off birth control because of our pro-life convictions. Still, I clung to the idea that I could control everything in my life, including the timing and size of my family. This was my decision, and I didn't think about God's opinion about my family much at all. But God wasn't finished working on my heart, and I was rudely awakened to the fact that maybe I wasn't in control of this. Things weren't working quite right after I went off the pill, and for the first time it occurred to me that maybe getting pregnant isn't as simple as I thought. 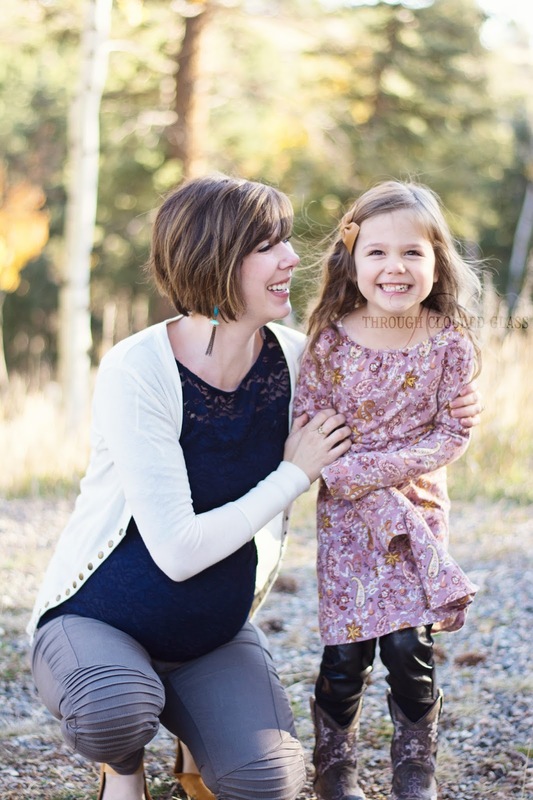 We went through about eleven months of waiting for things to get back to normal, and I very quickly went from thinking we'd wait to try to get pregnant to being desperate to have a baby. 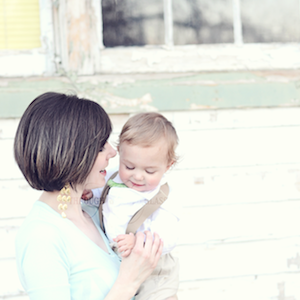 This was what God used to turn me toward what He wanted for our family, instead of just what I wanted. This is what He used to change my view of children from something to check off my list, to viewing them as a true blessing that He was in charge of giving. Fast forward a few years later, and instead of the two or four Derek and I said we originally wanted, we are expecting our fifth baby. Until about two years ago, the idea of five never even entered my head - but I credit this baby completely to God working in our hearts and family. 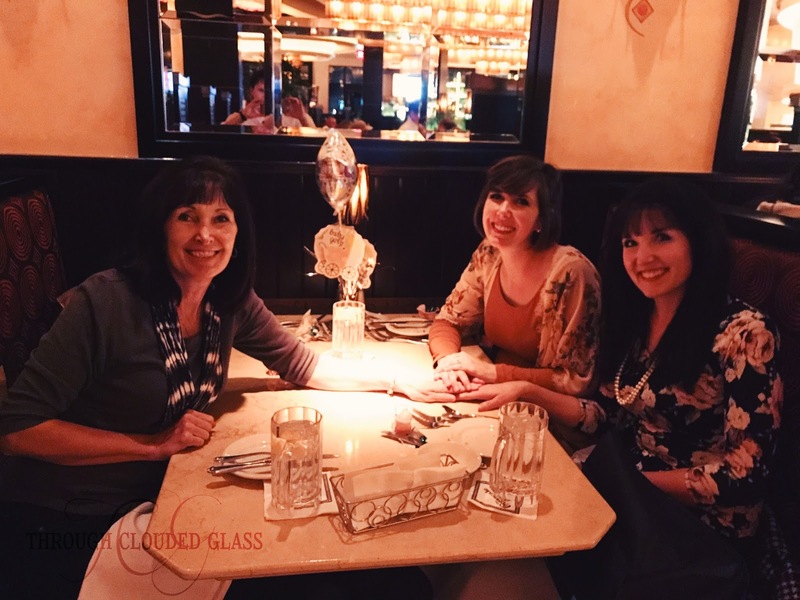 After we had Clarice there was just that nudge from the Holy Spirit to wait, to not do anything permanent quite yet, and we wouldn't have been listening at all if not for all those years of God slowly changing my attitude on children. We would have cut things short long ago if God hadn't used our trouble getting pregnant to teach me to seek His will for our family, not just my own. He used a stressful time in my life of dealing with sub-par fertility to actually bring me more babies than I would have otherwise! Looking back now, I'm amazed at how gentle He was with me. He gave me just the right resources and circumstances at the right times to change my heart. So here we are, having a "big" family. (I can probably say "big" without quotation marks now - it's just that the Duggars and Bates kind of redefined "big" for me.) Derek and I never really planned this out, but looking at our five babies (even the one still in my belly), we really cannot imagine not having them here. God has been really gracious to us, and He gave us what we didn't know we needed. So, to finish answering Natalie's question, my favorite part of having a big family...well, they are all running around, laughing as I type this, and the joy is pretty infectious! (Of course, there are also times of everyone crying, but let's just skip over that.) 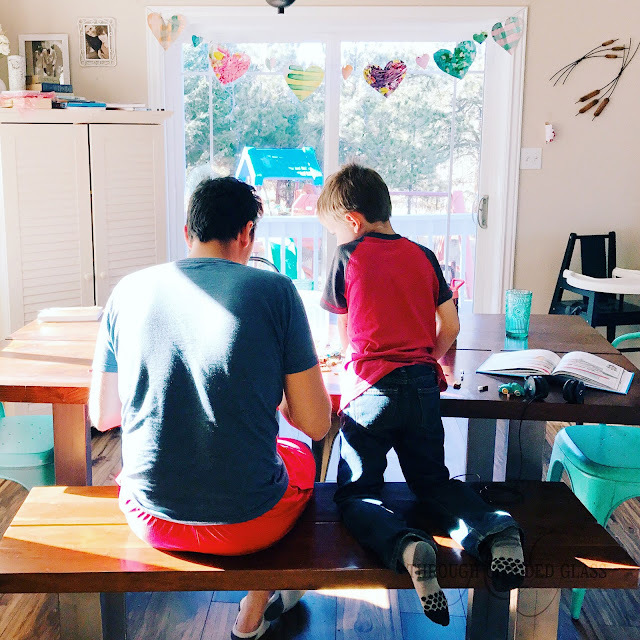 I think my favorite part of having a big family is those moments when they are all gathered around me for school or Bible time, and we are talking about something really important, and I know that this is it. This is what God made me for, and these children are one of the only things I will do on this earth that will really last...and He trusted me with five of them. It's a powerful thought, and it's humbling, and it makes me want to cry for the responsibility and privilege of it. He's been really good to me, and I see that nowhere more clearly than in these little faces that look back at me every day. P.S. If you asked Derek his version of the story, he'd have a very different one than mine...but I saw how he kept his heart open to what the Lord might have for us over the years too. 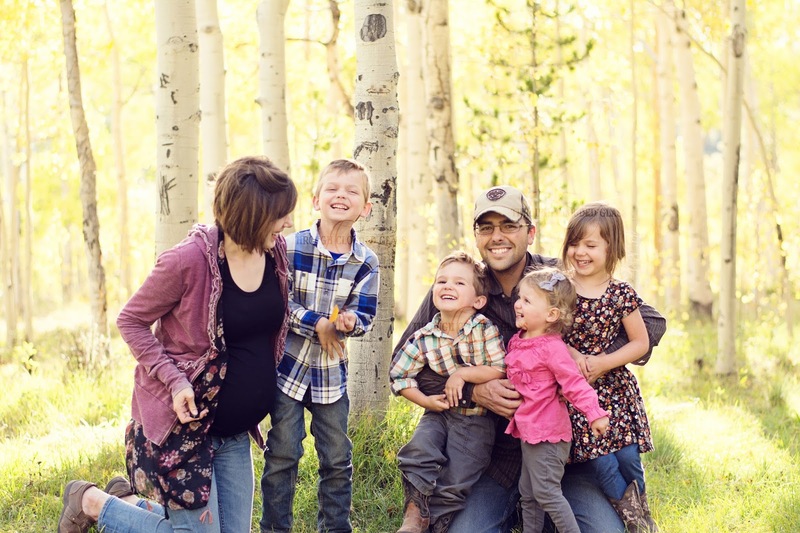 There is a reason God sent us each other, and these five kids are good proof! P.P.S. If you have any "getting to know you" questions for me, now's the time! 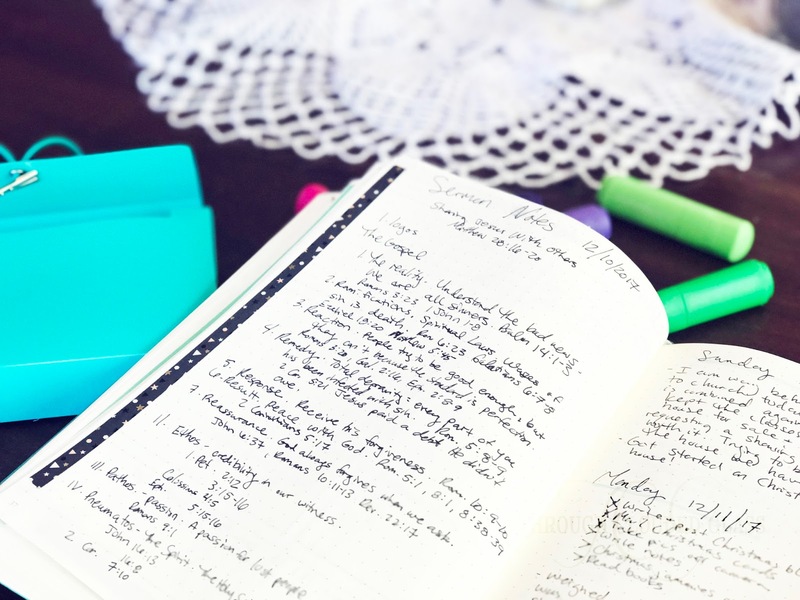 It'll help me come up with material for the last two weeks of my 31 Day Writing Challenge! I was fixing my makeup when she came bounding into the bathroom. "Mama, Daddy's going to take me to a princess movie!" The grin filled her entire face, and she bounced around the room like Tigger. A couple weeks ago, Derek told me about this princess event at his alma mater, including princess-themed activities, dinner, and a movie. "Should I take Gwen?" he asked me, and I said he definitely should. He bought the tickets, and today was the day. Gwen picked out which princess dress she wanted to wear (which just happened to be the princess dress from my own childhood), and they left early so they could go out to lunch first and buy Gwen a tiara. I don't have any cute stories from the day aside from a picture of her making a funny face with Snow White, and an interview video Derek sent me. But when she came home that night, after everyone else was in bed, I asked her how it was. "It was the best day ever!" She had Snow White mac-and-cheese for dinner, and they colored, and did "science experiments", and watched the original Snow White. "The bad queen was chasing White Snow, and she eated a poisonous apple, and everyone thought she died but she was really just asleep. And then her prince came and kissed her and waked her up." I'm told the theater was silent when the queen fell over the cliff and the boulder fell after her...until my little princess yelled "Yes!" She ran upstairs to get changed, and her daddy tucked her in bed, and I just chuckled to myself. I always knew Derek would be a good dad, but I didn't know just how good of a dad he would be to his girls. I'm glad I married a guy who is happy to delve into the world of princesses with his daughter. This was her first true Disney princess exposure, and though I am looking forward to watching more of the movies with her as she grows, I am loving the fact that she got to experience her first princess movie with her dad. I might be typing this while watching a Hallmark movie and eating coffee ice cream at 9 o'clock at night. 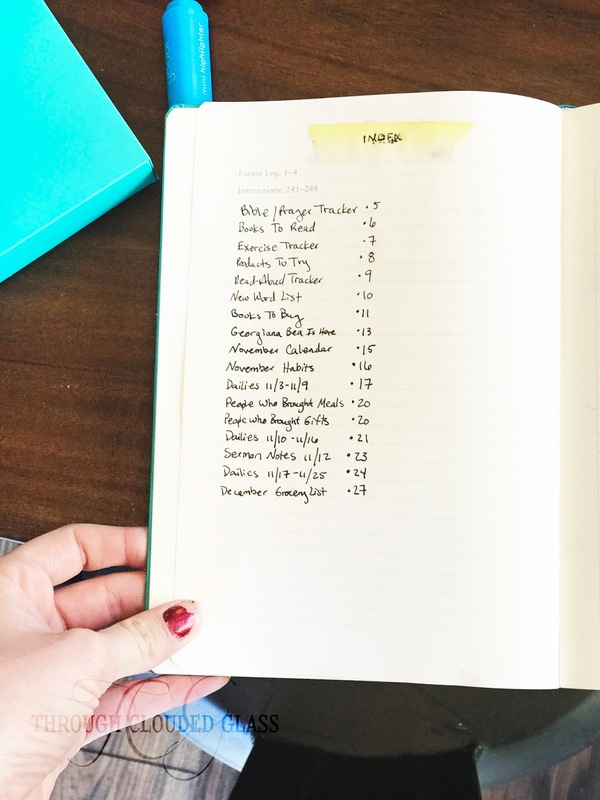 The last couple days turned out to be all-day errand-running days, and I had no time at all to sit down and write my photo organizing post that I had scheduled for today! 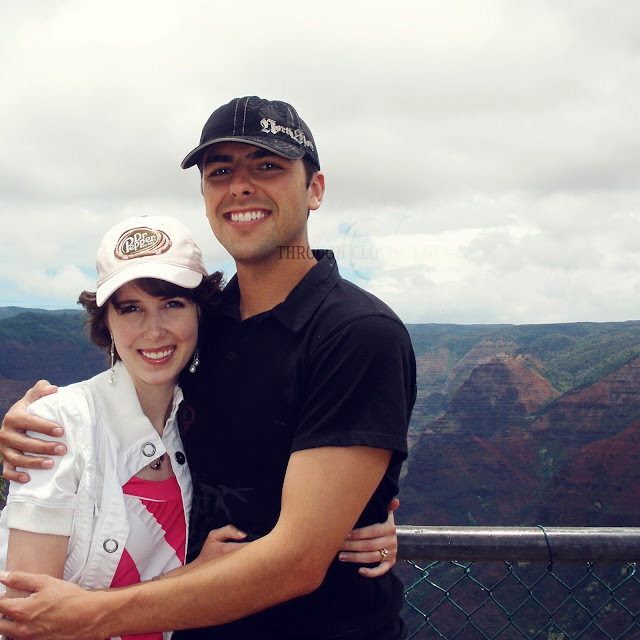 I'm hoping to get caught up on it tomorrow, but for now, I thought I'd switch in Saturday's "From The Archives" post and take you all back to nine years ago on this little old blog - our first year of marriage, before babies were in the picture. What did I even write about then, anyway? Mostly about newly married nothings, but I have to say, it's fun to have those posts now. I think it will be fun for my kids too to look back on what our days were like before they were around. So, if you want to see how much we've changed in nine years, here are a few old (really old) posts to explore! 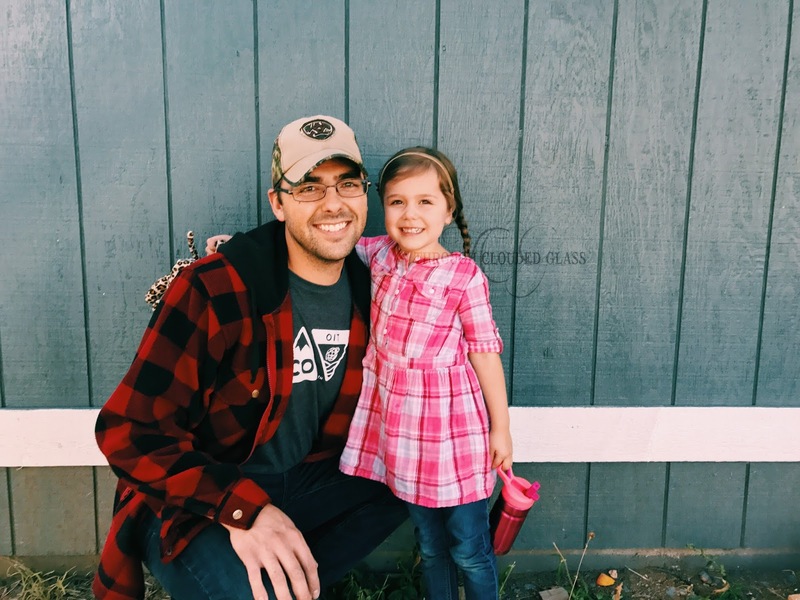 -I started this blog up after our first major stressful marriage situation - namely the fact that Derek and I were both unemployed at the same time a mere two months after our wedding! -A brain dump post, including pictures of Derek and I setting up our first Christmas tree. -A 2008 recap of all major events the year we got married (I seriously didn't even remember that I did a recap post that year!). -Proof that I have always written about books here, and also some confessions of our early marriage arguments - the "honeymoon phase" didn't last long for us, but hey, we figured out how to fight well sooner that way! -First Easter as a married couple. -When I got my wisdom teeth out. -When I discovered the wonders of Sam's Club, thanks to Derek. 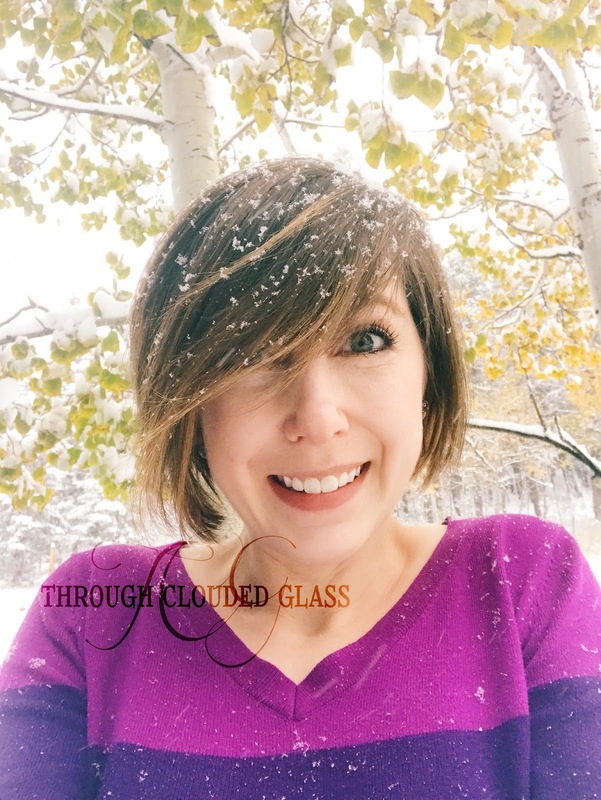 -A post I wrote about what I learned in the first year of marriage - still true, but kind of cute to read now since we've been through so many harder things than unemployment since then! 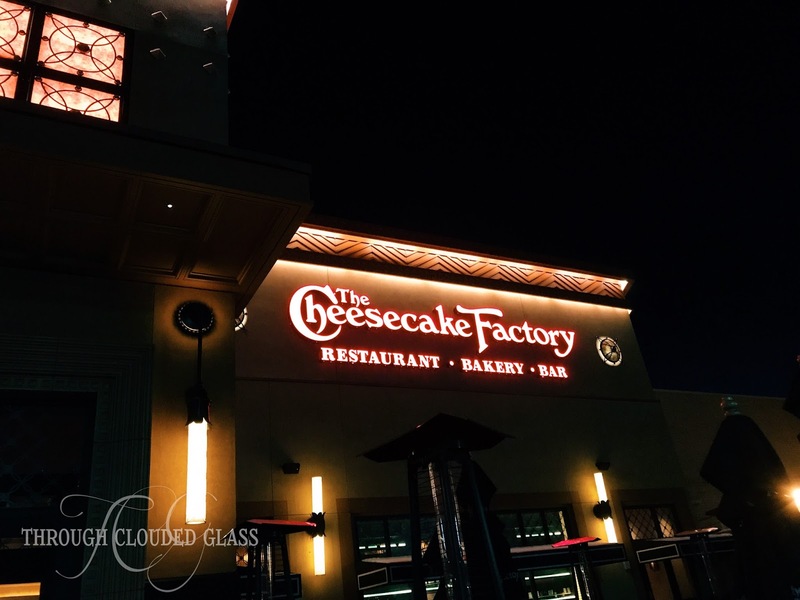 -Our first anniversary gifts, and oh my goodness, there is a picture of me in my wedding dress in this post since I tried it on at my one-year wedding anniversary to make sure it still fit. Look how skinny I was! But did that stop me from feeling the need to explain why I had gained two pounds over the first year of marriage? No! Oh Callie, you were so silly back then. 1. There are some posts with no pictures at all. I am reminded how freeing it was to just write something without having to find a picture to go with it! 2. I think my writing has gotten better since then. I think. 3. I wrote about really mundane things. But that's what we were all doing back then! It was glorious. 4. Shortly after our first anniversary we went off the birth control pill, and shortly after that realized that we might have trouble getting pregnant - enter baby fever! So it's interesting to look back on the days before we had kids on our minds. It was a special time with just the two of us, but goodness, how much richer our lives are now! Having our children has just made me love Derek even more. 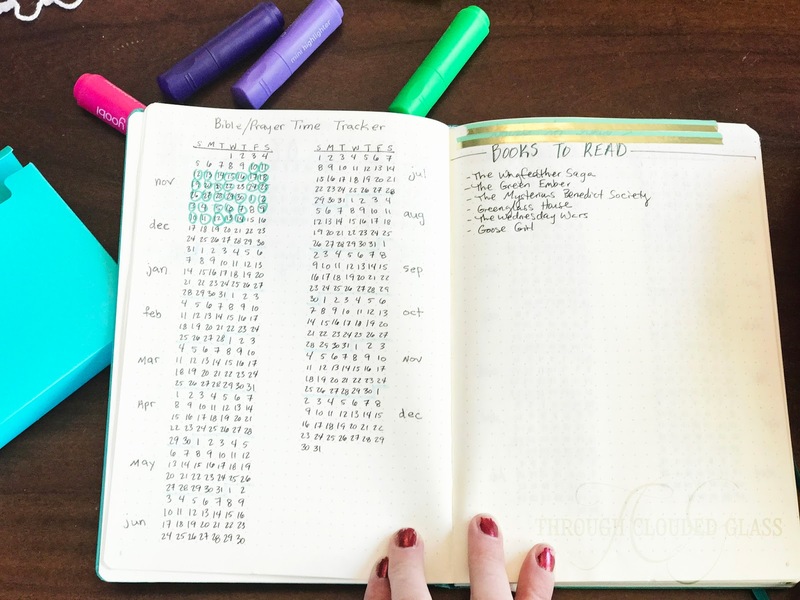 So...how long have you been blogging, friends? Do you have early married posts still, or am I the only crazy one who keeps these slightly embarrassing early posts up for all the world to see? 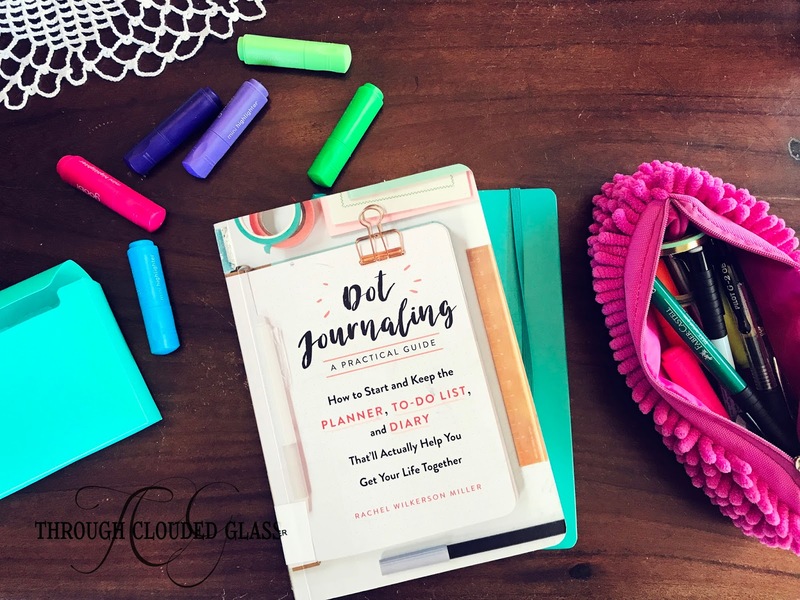 Since it's an off-week for my bi-weekly pregnancy updates, I thought this would be a good opportunity to get back to a round of old-fashioned blogging. 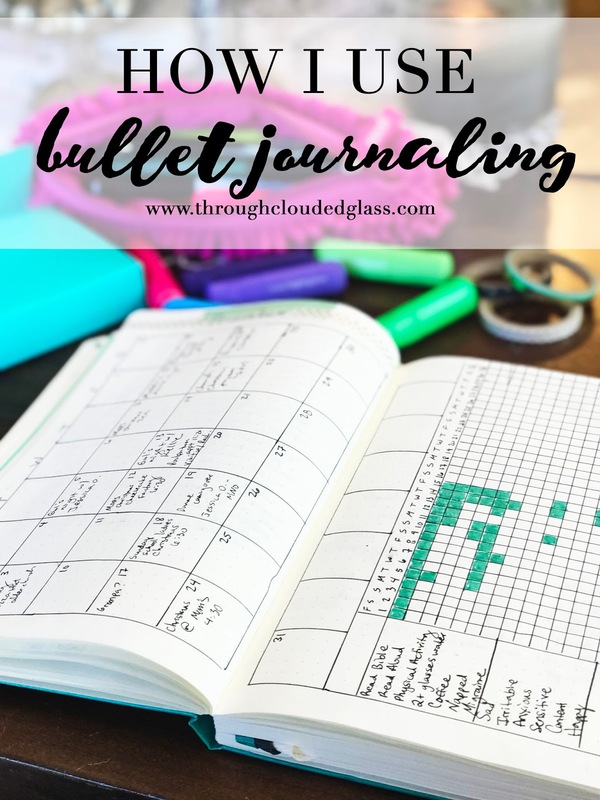 Even though this whole memory-keeping series is kind of a throwback to the old-school style of blogging, today is a brain dump sort of day, so here we go. 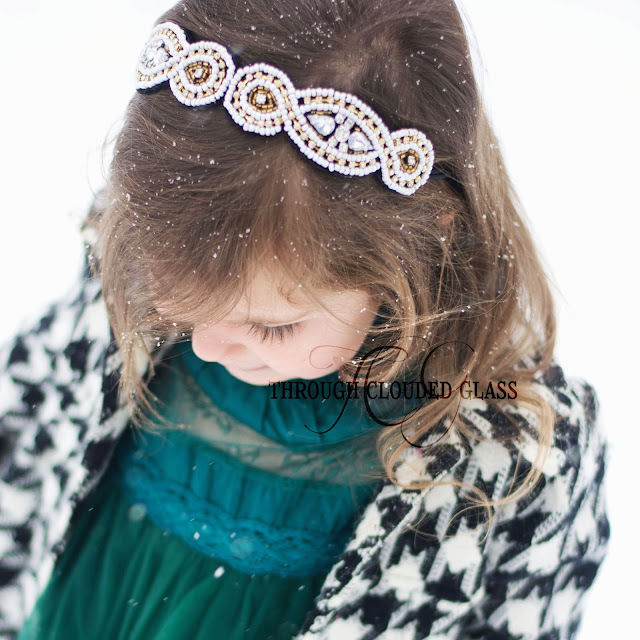 This week we had our first snow day of the season. 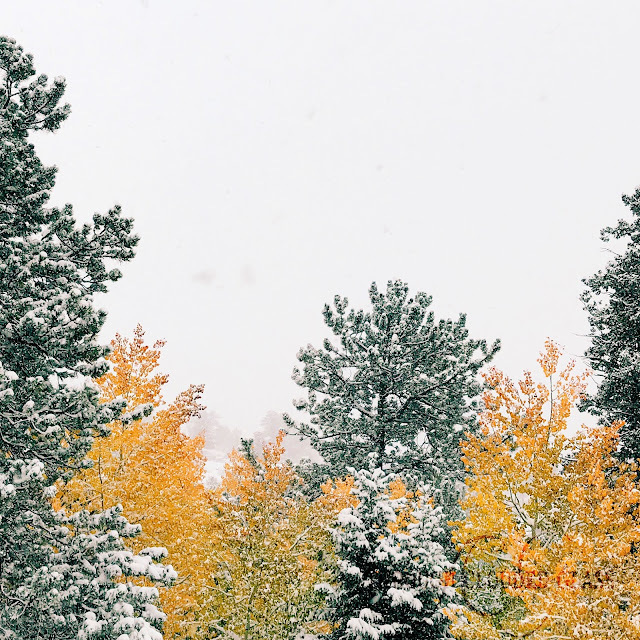 Just last week I was looking at my Facebook memories (Facebook finally gave me my memories after blackballing me from that feature for years), and I saw that we got our first snow at the beginning of October last year…and what do you know, a week later we got our first snow in October again! Somehow it came to me as a bit of a shock this year, I guess because all the seasonal changes were so sudden this fall. We went from 80-degree, weather to a cool 40/50-degree weather last week, and then boom, the next week it snows. It was a decent amount of snow too! The kids were making snow angels. 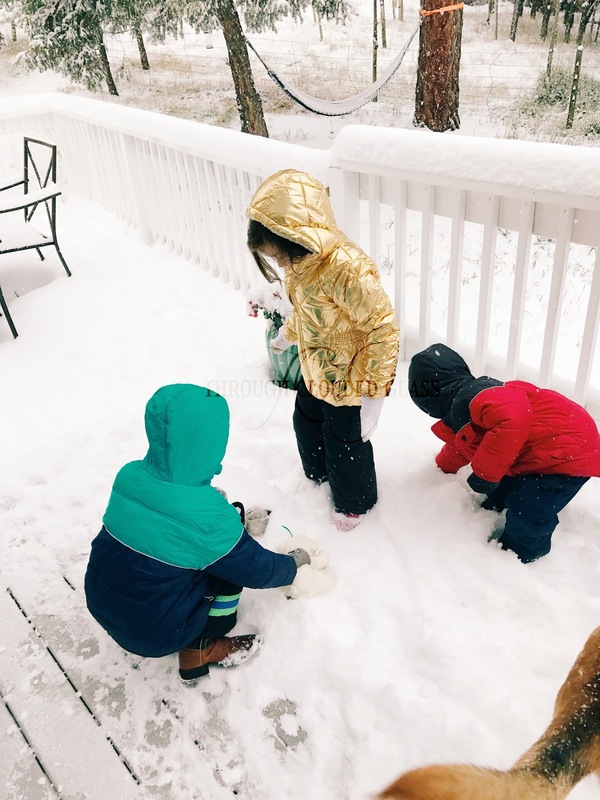 My kids (except Clarice) are finally old enough to send outside into the snow by themselves, so that was an exciting realization this year. I bundled them all up and they traipsed outside by themselves while I started a fire and a batch of pumpkin bread. It made me really look forward to more snow days this winter, because this will be the first year that a snow day doesn’t necessarily mean we’ll all be stuck inside all day. This week I also had a baby shower with my mom and sister! 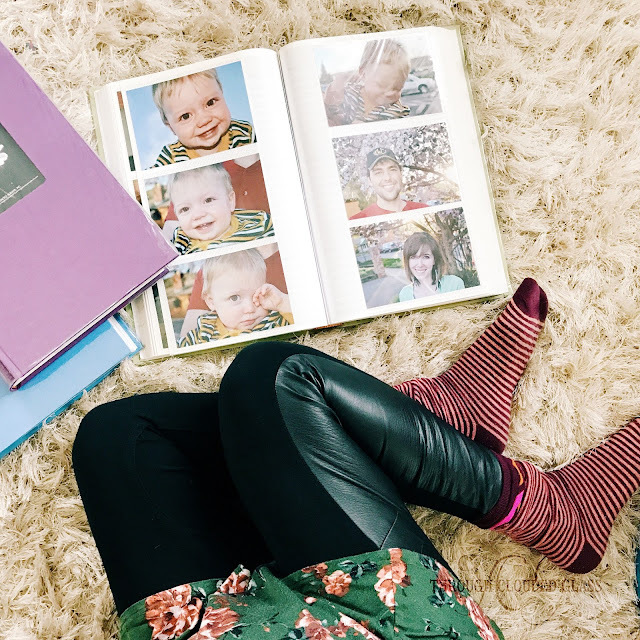 I had been toying with the idea of throwing a little pre-baby party with my family and friends, because I think every baby should be celebrated in some way (even a fifth baby) - but I just could not seem to get my act together enough to get it planned. The month of October started and I just figured it was too late and I was a bit too stressed to try to get something on the calendar at this point. Then my sister asked if I was planning anything (because I had mentioned this idea to her before), and I was disappointed when I had to tell her no. 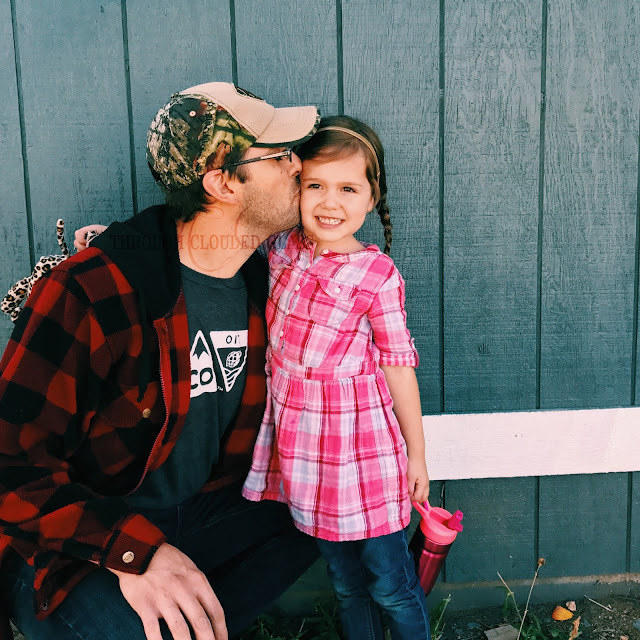 I felt like I was letting this baby girl down somehow, since we had some sort of pre-baby celebration for each of my other kids. Well, my sister is a thoughtful sort of person, and she conspired with my mom to have a little baby shower for this baby too! So my mom took the three of us out to dinner at The Cheesecake Factory, and they showered me with presents. And when I say showered, I mean showered. There must have been ten gifts between the two of them! It was so sweet, and they got me all the remaining things I needed - including swaddles, bottles, and baby bath towels, which I was trying to figure out how to budget in to buy for myself. That was such a blessing - I don’t think I ever realized it before, but just because someone has multiple other kids doesn’t necessarily mean they have everything for a new baby. Especially when it’s their third of one gender, because a lot of stuff just wears out after 2+ babies. I am really blessed to have such a great mom and sister, and they really blessed me with the effort they put into my shower! 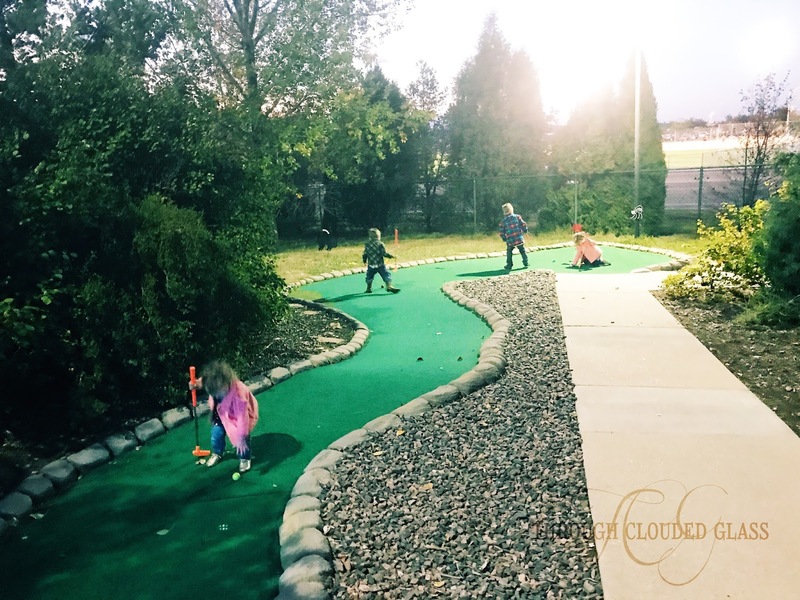 Before the snow, we snuck in some fall fun! The dental office we are going to now does this "fall festival" every year, and this year it was at a mini golf place. I signed us up because it was free fall fun, and who doesn't like free? It ended up being a great family outing! We had a free barbecue dinner, and then we got a free round of mini golf with the kids. 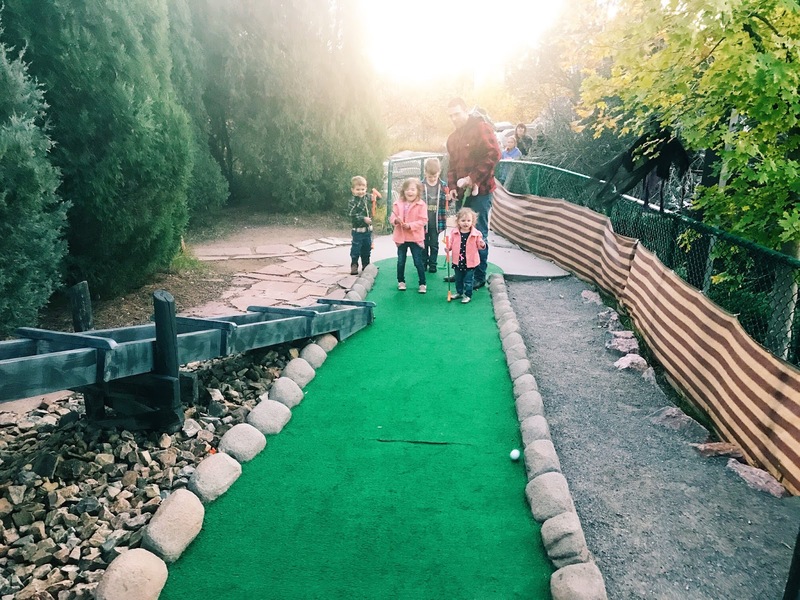 Mini golf is probably not a family activity we would pay for at this point since the kids are a little young yet, but did I mention free?! So we introduced the kids to mini golf. The big three had a bunch of fun hitting their balls toward the holes, and it was kind of a put-ing free-for-all. But Clarice, on the other hand, took her golf turns very seriously. She put the ball on the ground so carefully, and Derek helped her hit the ball, and she would get so upset if the ball went off the green. By upset, I mean she would burst into tears! Maybe we have a future golfer on our hands. It was so cute to see her little careful and competitive personality come out on a put-put golf course - at two years old, no less! 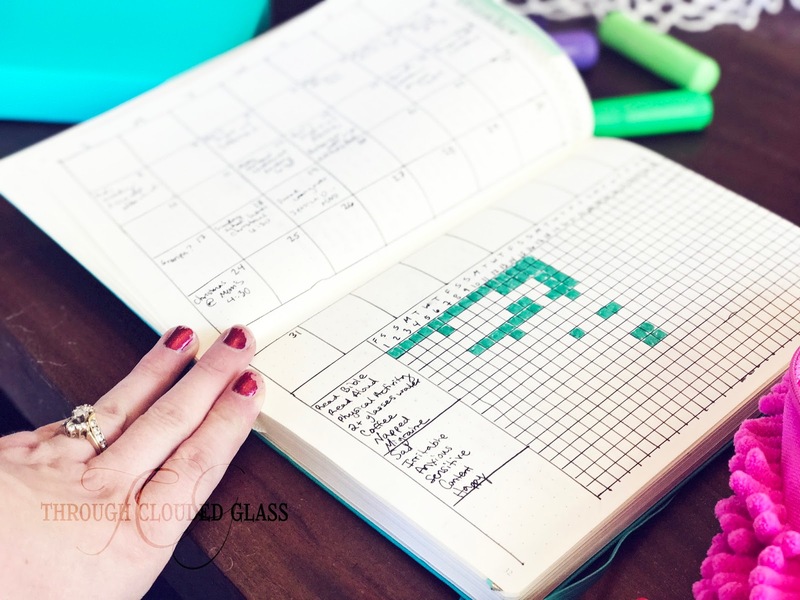 The next couple weeks are surprisingly busy - I’ve learned after so many pregnancies that a few weeks before you are supposed to have your baby, the schedule tends to fill up, because people want to see you one more time before you are cocooned up with a newborn for a while. I went out of the house almost every day last week, and this week is shaping up to be the same. Then the last two weeks or so of pregnancy, the schedule really frees up because people think you won’t want to schedule too much so close to baby (and they’d be right) - but then you just sit home bored, waiting for something to happen. So, when I get overwhelmed by my schedule right now, I just remind myself that if I give it another two weeks I’ll probably have nothing to do at all. I hope my friends and family are up for some last-minute things, because if this baby ends up being late like Clarice was, I'll need to get out of the house! What has your October looked like so far? 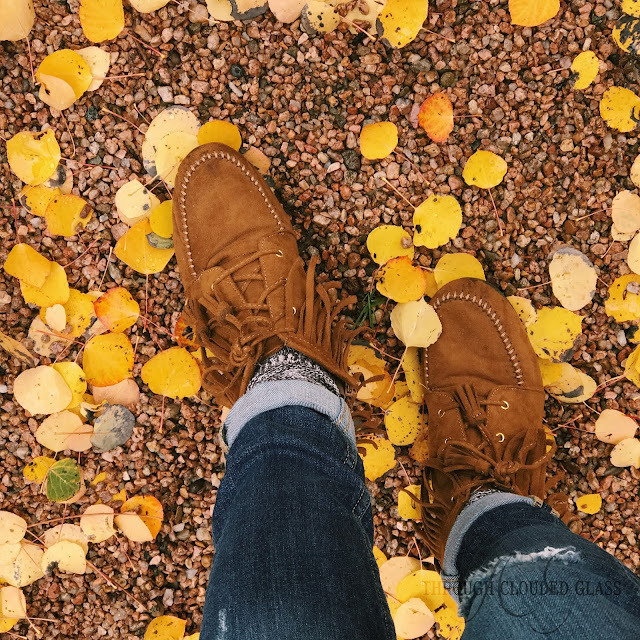 Have you had a chance to do any fall-ish fun yet?